Who'd have thought Alex Salmond would ever come across as one of them? And Scotland is British. There was a big vote about a few years ago. 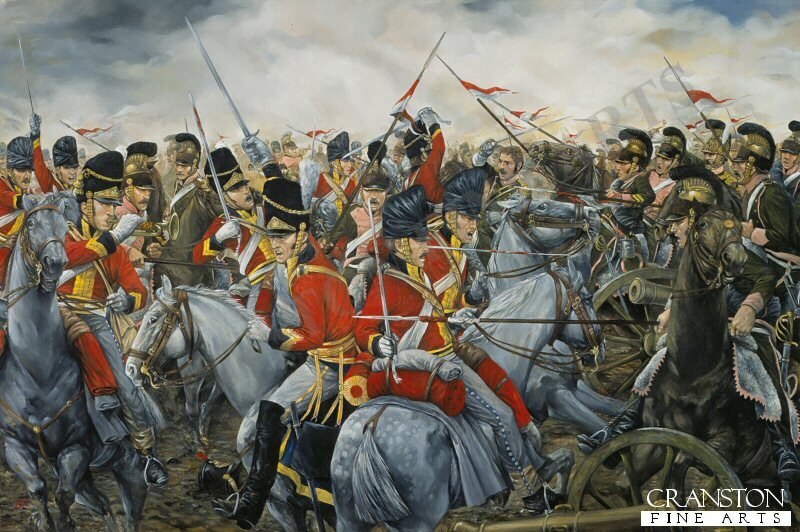 The North British Dragoons at Waterloo. It will be really romantic won't it. They will be as Ludendorff described the German alliance with the Austrian Empire - like being shackled to a corpse. I only hope Wales comes to their senses and does the same. Support for Welsh independence last seen touching 7%. It's going nowhere. Over the next year the supermarket giant will be opening between 10 and 15 branches of Jack's, investing at least £20 million in the project. The name was chosen in honour of Tesco's founder Jack Cohen. Take a look at some pictures of the stores though – two of which open tomorrow – and the pun becomes a bit clearer. We suspect you'll have noticed that the pictures feature quite the array of Union Jacks and mentions of "British". It's quite the showing of Union Jackery – in pretty much every direction you turn. And it's an important matter too. One of the battlegrounds in the Westminster power grab on Holyrood is food standards. The #KeepScotlandTheBrand campaign isn't a joke either. Scotland has a reputation for high-quality produce, and attempts to hide that brand are harmful and counter-productive. This raised a few hackles too. Aren't these regulations previously ones set at EU level? So presumably, all stores have had EU flags on them? Couldn't they just call the stores in Scotland "Jock's"? Indy supporter Brian Cox doesn't want a bucket of Brexit crap poured over his country to achieve it. A more grown-up approach then the cynical game the SNP are playing by not backing the Peoples Vote on Brexit.